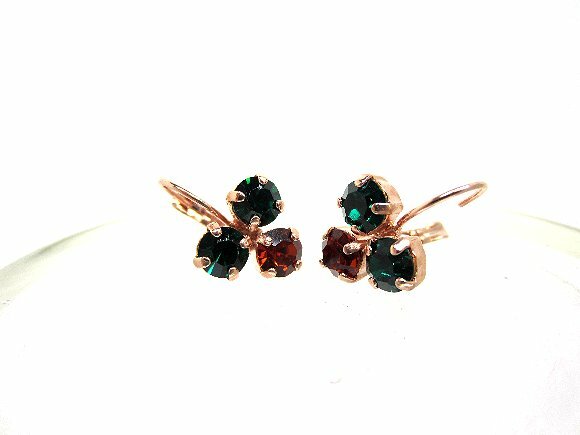 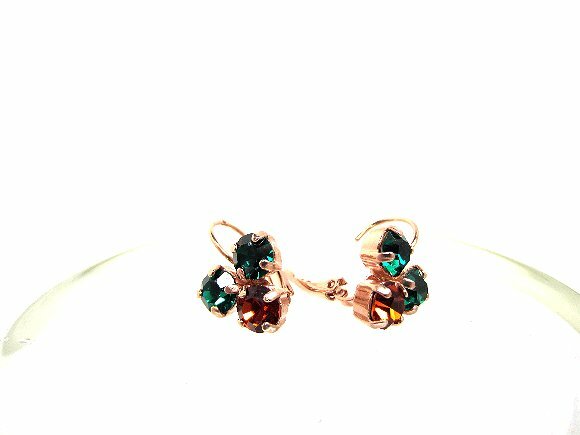 The incredible emerald green and rich Madeira topaz vintage crystal stones in these earrings each measure more than 6mm across. 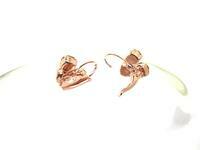 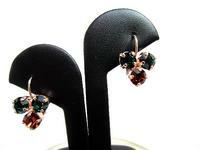 Three stones are securely prong-set in sturdy rose gold plated brass mountings for each earring. The mounts have been soldered to lever back findings to make a pair of earrings that is distinctive and lovely.